We are reporting on the forum entitled “'Opening the Economy': Debates about Financial Inclusion - between Profitability and Over-indebtedness” that took place on May 4th at ICESI University in Cali (Colombia), and the workshop on the following day. 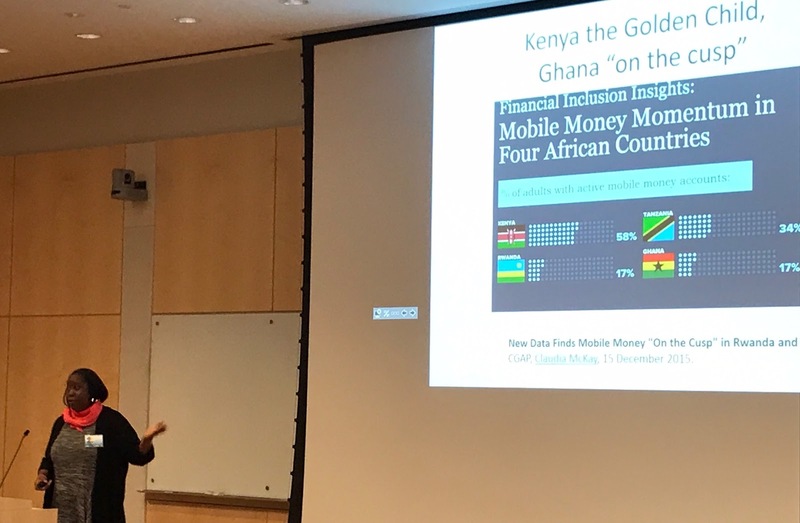 These two events, bringing together perspectives from public policy, industry, and academia, sought to motivate new generations of researchers to study the promises, problems, and challenges surrounding financial inclusion developments (for the full program, click here). Yet they also became a lively space for discussion between the audience and panel participants. We want to highlight three sets of insights pertaining to the conference’s opening talks and subsequent panels, pertaining to the pluralization of the notion of financial inclusion, what is at stake in current changes in the payments infrastructure, and the important yet saturated field of financial education. Being financially included can have different interpretations, and the conference’s two opening talks would set the stage for the debate. Carlos Moya gave an overview of the programmatic strategies being followed by different countries across the region that are part of the Financial Inclusion Initiative for Latin America and the Caribbean (FILAC), which he coordinates. Throughout his presentation he stressed the positive impact of having formal access to credit, saving accounts, and insurance for poor communities; in this view, financial inclusion means inclusion into financial formality. Such a perspective was problematized by the second presenter, IMTFI fellow Magdalena Villareal from CIESAS in México. She pointed out not only how among communities ‘financial inclusions’ already take place through participation in different circuits and types of debt, but also that what is referred to as the formal financial system also entails different sorts of inclusion depending on the varied negotiation power of particular individuals and populations. The pluralized notion of financial inclusions, left in the air as an invitation, helps ask not only whether populations are being financially included, but what type of financial inclusion is taking place. The following panels would, in a way, pursue the specification of the financial inclusion taking place when discussing both developments in the country’s financial infrastructure—marked by the move towards digital payments—and the challenges of financial education in contexts where expensive yet highly available loansharks (known as paga-diarios or gota a gota) can constitute not only pervasive practices but possible interpretive frameworks to use as starting point for trainings and campaigns. “You need to learn when to commit suicide.” That was the beginning of the answer given by Hernando Rubio, the charismatic CEO of Movilred, to a student in the audience asking what his so-far successful enterprise could do if/when Facebook starts offering electronic payments. “And then, like the phoenix, be reborn as something new,” he continued. Rubio has been one of the main supporters of Colombia’s recent financial inclusion law and the decree that introduces a new entity –Societies Specialized in Electronic Payments and Deposits—into the regulatory framework of Colombia’s financial system. For Rubio there is no doubt that digital payments are the future not only of cheaper transactions, but also of democratizing credit on the basis of cheaper and more effective ways of knowing customers thanks to the harnessing of electronic data. territory, Banco Agrario’s high operational costs include the hiring of helicopters to move cash in and out of distant municipalities where the lack of telecommunications or even electrical infrastructure makes digital options unavailable. If digital is the future, then there is still a long way to go in order to avoid such populations being left behind. Whether the time for more traditional financial entities to ‘commit suicide,’ as Rubio would say, is coming soon or not, a historical example came up concerning Banco Agrario itself that brought into relief the importance of alternative payment infrastructures. In the 1990’s, the large chain of drugstores called Drogas la Rebaja, owned by family members of the heads of Cali’s drug cartel, was included in what came to be known as the “(U.S. President) Clinton List.” Being on that list entailed sanctions, including exclusion from the payment networks of U.S.-based Visa and Mastercard. Drogas la Rebaja would turn into a cooperative run by its employees, yet continue to be part of the Clinton List. It was only through Banco Agrario that the largest drugstore chain in the country, with more than 4,000 employees, was able to have bank accounts to continue operating during the decade-long lag between the priorities of the U.S. war on drugs and those of the Colombian government. What this example brought home is that the configuration of payment infrastructures not only entails varied costs, but also can affect sovereignty. In sum, if the move towards digital payments seems inevitable and large changes are already taking place in this regard, then the availability of alternative payment infrastructures seems key not only if one seeks to avoid deepening the exclusion of certain populations, but also considering the margin for maneuvering given by different payment infrastructures that are far from neutral or apolitical. The panel on financial education had three different perspectives on the topic, though they shared a basic assumption: people need more financial education in Colombia. Nidia Garcia, head of the department of Financial and Economic Education at Banco de la República (Colombia´s central bank) did a presentation on the main points of the national strategy of economic and financial education (EEF). Based on healthy financial habits, responsible use of money, and financial capabilities, that strategy represents the first attempt at promoting a unified national framework for financial education. Because the EEF was launched just a month ago, it is too early to have an idea of its reception among institutions, banks, IMFs, and the like. This top-down process will be interesting since financial education is not a new topic among institutions in Colombia like Fundación WWB-Colombia and Fundación Paz y Bien, whose representatives constituted the rest of the panel. Daniela Konietzko, the director of Fundación WWB-Colombia, a leading microfinance institution with a bank of its own, pointed to some difficulties that they have faced during the last years in their programs. Among them are two that represent an important challenge for any institution interested in promoting financial education. First, time-intensive educational programs have been the most effective ones in terms of developing financial capabilities, yet the fact that poor women have multiple social and economic responsibilities in their homes and micro-businesses makes it harder to develop these kinds of programs for them. Second, since financial education has become so popular among institutions, people have begun to feel that a saturation point has been reached. That saturation was also emphasized by Alicia Meneses, who has helped to create and develop the educational model of Fundación Paz y Bien, a grassroots organization. In her view, “People don´t like going to workshops or taking classes; they are tired.” In order to avoid this situation, she and her workmates have developed community-based interventions as the key components of their financial education programs. Rather than emphasizing individual capacities and skills—as the former approaches did—Alicia believes that acquiring good financial habits is a collective process of learning-by-doing. In a similar fashion to the Grameen Bank model based on social capital and networks, Fundación Paz y Bien showed us that learning the habit of saving requires collective strategies (i.e. saving clubs) with common purposes. In sum, what is identified as the continued need for financial education faces a crowded scenario, not only in terms of the multiple activities in which potential beneficiaries such as poor women are engaged, but also in terms of the varied and dispersed financial education initiatives they have been already exposed to, which adds up to a feeling of saturation. In such a context, is changing financial practices a matter of systematizing the diverse financial education initiatives and evaluating their outcomes in order to move towards a more coordinated approach based on lessons learned, as the central bank seeks to do? Is it a matter of designing strategies that are carefully tailored to the life conditions and motivations of particular populations? Or is it, as the Movilred CEO emphasizes, mainly a matter of making credit cheaper and more available using digital technologies, so that customers on their own will see the benefit and choose the better option? Such were the questions left hanging in the air. This event was part of two longer term endeavors. On the one hand, this was the first in a series of forums that ICESI University is launching under the title “Opening the Economy,” which seek to foster academic reflection about the economy from viewpoints that are not limited to those of mainstream economists. On the other hand, it is part of the process of configuring the Latin American node of the international network of researchers that are part of IMTFI. In the upcoming months, we plan to launch an online platform in which researchers working on social studies of money and finance in Latin America can learn about each other’s work, interact, and pursue common research agendas. Third, workshop conveners Dr. Noman Baig and Dr. Hafeez Jamali (director of Habib University’s Interdisciplinary Research and Action Center) assembled an unusually diverse group of participants: from financial technology start-ups, conventional and Islamic banks, academia, the State Bank of Pakistan – and even the State Bank of Pakistan’s Money Museum & Art Gallery. Samar Hasan of development finance nonprofit Karandaaz and founder of a new social enterprise start-up, Epiphany, opened the workshop talks on a startling note: She asked the audience of approximately 200 who knew what “financial inclusion” even meant. Only a handful raised their hands. As a communication head at Karandaaaz, Samar Hasan has been actively engaged in raising awareness on digitization of finance in Pakistan. Later on, Fawad Abdul Kader and Zain Khalid Bhatti of Bank Alfalah, a Pakistani Islamic bank, emphasized that even for those within the banking and finance industry, “financial inclusion” can take on a variety of different meanings, and be understood through varying perspectives. Subsequent conversations examined potential risks of financial inclusion, including new zones of exclusion or precarity and new vulnerabilities that digital money users might face. As a banker in Bank Alfalah, Fawad Abdul Kader made a distinction between the conventional bank and a retail agent. According to him, “Banks function under a controlled environment. Every transaction is controlled by a dual verification, whereas retail agents are relatively operating freely in financial circuit. Retail agents work on their benefits and on their terms. You can control the agents. Now because of this, it is becoming difficult to convert accounts from retail agents to mobile wallets.” Kader emphasized the need to customize banking services according to the population segment. For instance, he said that there is no single financial product for agricultural workers, who are the largest labor force in Pakistan. The development of mobile wallets will bypass the agent network, who work on small commissions of 7-8% per transaction. Mobile wallets will give the corporations direct access to the customers who, instead of storing money in their conventional wallets or pockets, are now being encouraged to store it in mobile wallets. The money deposited in mobile wallets is then lent to commercial banks with an interest rate, which then gets further distributed in loans at a higher rate of return. Mobile wallet companies such as Finja and Monet believe that the historical monopoly of banks over money will be finally broken with the advent of smartphones. Fintech companies expressed great optimism about the role of smartphones in digitizing money. Speakers agreed that adoption of new services, products, or technologies is occurring slowly, despite their tremendous social potential (i.e. the uptake of mobile-based services for the empowerment of women). Shoukat Bizinjo, Head of the State Bank of Pakistan’s Information Systems Examinations Division, provided an overview of Pakistan’s evolving digital regulatory environment, including payment systems, electronic funds transfer, and IT security in the early 2000s, and branchless banking regulations in 2016. Even a single ATM machine, Mr. Bizinjo noted, depends on complex, interrelated infrastructures implicating an array of regulations. In his presentation, he explained the Payment System & Electronic Funds Transfer Act 2007 issued by the Government of Pakistan. According to Bizinjo, the law allows the government to “inspect the premises, equipment, machinery, and apparatuses” of any financial institution involved in funds transfer. The law gives broad power to the government to legalize and streamline payment systems for greater “efficiency, safety, and reliability.” However, Bizinjo particularly highlighted the fact that the “central bank strongly recommends safety and security over efficiency.” In a neoliberal age of speculative finance, in which money and capital have been increasingly transformed into an immaterial reality for the sake of efficiency and speed, the state's responsibility for ensuring the safety and security of money becomes the top priority, at least in theory. Bizinjo also highlighted a regulatory framework for branchless banking which is rapidly growing in Pakistan. In short, the role of the central bank in regulating, controlling, and surveilling money circulation was the central concern of the presentation. Muhammad Imauddin, a leader in microfinance policy at the State Bank of Pakistan and head of the National Financial Inclusion Strategy Secretariat at the State Bank, pointed out that the Finance Ministry’s 2015 national financial inclusion strategy reflected its commitment to the sector’s growth. In other words, Pakistan’s regulatory sector is amenable to financial inclusion, but infrastructure transformation takes time, due in part to the way that social issues are intertwined with regulatory concerns. Social issues affecting the work of regulators—but that require input from a variety of actors—include the longstanding exclusion of women from access to formal finance, and the distinct needs of merchants versus customers. Many speakers referenced basic mobile phones, smartphones, Facebook, and WhatsApp when discussing the prospects of financial inclusion. These tools and free platforms have changed the fabric of Pakistani life through their rapid uptake by millions. 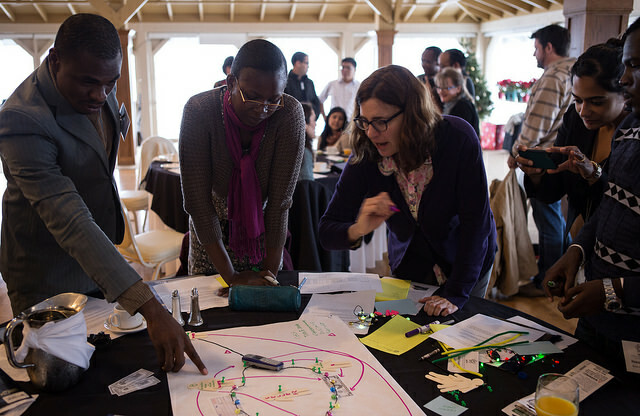 The financial inclusion products, tools, services, and platforms discussed at this workshop—along with appropriate regulations and risk protections—can be similarly transformative. Keynote Speaker Dr. Asma Ibrahim, Director of the Money Museum & Art Gallery, placed this transformative potential in historical context through an overview of the evolution of currency and coinage, from the ancient Bronze Age of Harappa through the 20th century. Her presentation was extremely educational for bankers and anthropologists to understand how the shape of money continues to transform through various social and political eras and contexts. For instance, 16th century Mughal emperor Akbar replaced Kalma, the first principle of Islam, expressed as No God but God. Instead, he inscribed Allah Akbar Jalla Jalala (God is most Great, Eminent is his Glory), emanating from his newly devised creed known as Din-e-ilahi. Another noticeable aspect is how symbols disappear from the coinage. In 17th century Mughal India, for instance, under Mughal emperor Aurangzeb, the Arabic text replaced symbols on coins. This is due to the fact that Aurangzeb was a conservative ruler who found iconography against legal Islamic codes. One could actually read a social and political history of the region by reading the symbols, icons, and texts on the coins. Each coinage system represents an era, a social force, a kind of reminder of the past age. Her presentation gave an impression that money is a mnemonic device, or what Keith Hart calls a ‘memory bank,’ that stores personalized and collective memories. As a Director of the Money Museum & Art Gallery, Asma Ibrahim has masterfully curated a history of currency systems in one of the country's finest museums, located inside the State Bank of Pakistan, Karachi. One thing that has emerged from the discussion with bankers and fintech practitioners is the lack of research on the financial needs of common people in Pakistan. They commended Habib University's efforts to initiate a conversation on money and finance, and they would like to see research become a bigger part of the industry. However, research for them is not social science research in which a scientist explores and critique social facts. Rather, practitioners want to see market research, which can help them to sell their products to the wider population. This ended the workshop on an unexpectedly provocative note: The fact of transformation (or “disruption”) is not itself remarkable or new. What remains consequential are its effects: Who will the transformation benefit, and how? Who will be left behind, and how? How will newly generated value be assessed, and where will newly generated wealth be distributed? Noman Baig is also an international board member of IMTFI and Assistant Professor in the School of Arts, Humanities and Social Sciences at Habib University, Karachi. On April 8, 2017 the Institute for Money, Technology and Financial Inclusion co-sponsored the workshop, “Financial Inclusion of the Poor,” at Habib University in Karachi, Pakistan. 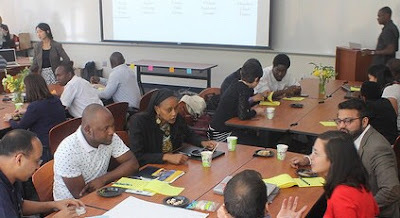 In the landscape of talks, conferences, and seminars concerning economic or financial inclusion, this workshop was notable for three political and ethical reasons. First, IMTFI’s co-sponsor, Habib University, is Pakistan’s first liberal arts institution. Innovation, research, and development requires not just the STEM excellence fostered by polytechnics and traditional universities, but also the ability to think creatively across disciplines — the hallmark of a liberal arts education. The main questions addressed by the workshop’s speakers illustrate that financial inclusion isn’t just a tech or regulatory issue, but requires engagement with the complexity of human behavior: How are new financial instruments such as mobile banking and branchless banking being deployed in poor communities? How are state regulations and surveillance programs affecting channels of capital flows? How are financial inclusion programs addressing basic income inequality issues? Human behavior and the practices and beliefs of different communities—what anthropologists study as “culture”—easily resist comprehension, much less prediction, through models, algorithms, or randomized control trials. Habib University is an exciting setting when considering how Pakistan can cultivate the next generation of social scientists able to design research methodologies suitable to the multi-disciplinary questions of financial inclusion. Equally critical is innovation and entrepreneurialism that can lead to new products, systems, and platforms uniquely responsive to the needs of Pakistan’s incredibly diverse population. An insidious effect of this neoliberal “marketization” of development is that entrepreneurialism and self-reliance become valorized as ideal and preferred traits of the poor or precarious, such that those who do not become entrepreneurs and might struggle with self-reliance are recast as simply lazy, unwilling, or otherwise “responsible” for their poverty. Financial inclusion is important because there are 2 billion people on Earth who do not have access to financial services. “It exposes them to vulnerability and risk,” Hasan argued. That is why the need for a regulatory framework for mitigating the risk of scaling financial inclusion was also emphasized. For instance, if retails agents use illegal ways of doubling commissions, then the authorities must blacklist the agents. Cultivation and support of a robust Pakistani fintech/financial inclusion sector thus becomes an issue of political, economic, and ethical importance. It’s also indisputable that the poor would benefit immeasurably from the convenience, security, and lower costs of money handling/management that financial inclusion services make possible. How can both international and Pakistani fintech/financial inclusion industries proceed to ensure that new zones of exploitation and insecurity are not created? This workshop introduced participants to innovation currently taking place. Ali Abbas Sikander, founder of groundbreaking Tameer Microfinance Bank and current director of Paysys Labs, a technology platform provider for digital payment systems, presented an overview of challenges and opportunities in Pakistan’s financial inclusion sector spanning Sikander’s experience over the past 25 years. Particularly crucial, he argued, are point-of-sale interfaces, agent networks, support for Pakistani entrepreneurs, and the interoperability of emerging systems. He also noted that keeping money circulating within digital networks for multiple transactions should be a primary goal; the costs of financial inclusion become high once money “exits” the digital economy and gets transformed into cash – this refers to the importance of the financial “ecosystem” that the Bill & Melinda Gates Foundation’s Financial Services for the Poor program is working to support. “In Pakistan, formal things become informal really quickly if you do not have total control over it,” said Sikander. He stressed having control over infrastructure, which keeps ongoing processes in line with social change. According to Sikander, “In Pakistan, the entire financial inclusion program is run by the agent network.” Running such a network means loosening control of, for instance, 100,000 agents. “The bulk of the revenue goes to the agents,” Sikander stressed. In his view, fintech companies such as Monet, Paysys Lab, and Finja, as technological platforms, can bring together banks and telecommunication companies in order to offer direct services to customers. According to Sikander, “What would be really interesting is that once the cash comes into the system, it should not just be cashed out immediately … because the cost of putting the cash in and the cost of getting the cash out makes the entire project of financial inclusion very expensive.” The money must stay in the system for financial inclusion to work effectively. If cash is pulled out immediately, then it does not circulate fully in the circuit, and hence does not benefit every individual plugged into the loop. The longer it stays in the system, the greater value it will accrue. Speaker Qasif Shahid of Finja, a technology company developing such interoperable digital ecosystems, focused on the tremendous prospects for mobile banking, mobile money, and digital transfer services to significantly drive down the high costs of managing physical cash—points also central to financial inclusion initiatives across the globe. But Shahid connected these to Pakistan’s specific challenges: If digital commerce is free and entrepreneurialism among the general population (and not just the elite) is nurtured, he argued, then corruption will lessen, transparency will increase, and GDP and quality of life will improve. Shahid was particularly optimistic about technologically driven social change, which he called "disruptive transformation" – changing the behavior of millions of people over a quick span of time. “When hundreds of millions of people reinvent their relationship with money, which means they pay differently, they save differently, they invest differently, they protect differently, then that is when the disruptive transformation has happened,” said Qasif. For instance, on the issue of demonetization in India, which sparked scintillating conversations between the speaker and the participants, Shahid thinks this kind of transformation was needed, but it should not have been done as it was by the Modi government in India. As CEO of a fintech company, Qasif particularly emphasized the need of reducing cash and paper-based transactions in order for the country and the population to prosper and progress. According to Shahid, “If we leave the things the way they are, then it will take Pakistan at least 10 years to become a cash-lite country.” Demonetization, however, can bring disruptive transformation that can reinvent the relationship between people and money. In his view, digital commerce has to be “free, frictionless, and real-time” in order to become a productive force in society. For instance, in Pakistan, only 4% of people consume credit because of the large number of people who are not part of the formal banking structure. This can change when we use mobile wallets, but it is only possible with demonetization. Second, a workshop about financial inclusion in Pakistan was actually in Pakistan, and nearly all participants and attendees were Pakistani. In this setting, Pakistanis are not reduced to data points, or archetypes, or anonymous randomized control trial subjects. Instead, they determined the course of the conversations. Again, in the landscape of financial inclusion meetings this is more unusual than it might seem. But when almost everyone in attendance has enduring connections to a place and its people, conversations assume longer time horizons; the past is invoked to assess the present, and assessment of possible futures becomes personal and urgent. IMTFI is unique in the financial inclusion space because building the capacity of researchers and institutions outside of the West is central to its existence. IMTFI has funded over 147 projects in 47 countries, conducted by over 187 researchers, more than 70% of whom are from developing countries. IMTFI’s goal in partnering with Habib University is to further shift the locus of financial inclusion knowledge production to the countries that are the subjects of financial inclusion work (although, as new research from Lisa Servon makes abundantly clear, the exclusion of the wealthy United States from financial inclusion initiatives should change, given the predominance of “alternative,” non-bank, and exploitative financial services catering to exponentially rising numbers of poor and precarious Americans). One unique valence of financial inclusion conversations in Pakistan, for example, is a strong interest in Islamic finance. At the workshop, Ahmed Ali Siddiqui, Senior Executive Vice President of Pakistan’s premier Islamic financial institution, Meezan Bank (and one of Karachi’s most renowned experts on Islamic finance and banking), provided an overview of Pakistan’s unique growth potential in the Islamic finance sector. Challenges to uptake include low client literacy, uneven access to appropriate documentation (even Pakistan’s national identity card), gender discrimination, and the requirements of local religious beliefs and ideologies. According to Siddiqui, Islamic banking aims to fulfill the “social and ethical needs of the customers.” This makes Islamic banking more popular than conventional banking among the large majority of people, Siddiqui claims. According to Siddiqui, the number of microsavers has jumped from 16 million to 23 million in the fourth quarter of 2016. The credit goes to mobile company JazzCash, which has added around 5 million mobile wallets to the system. Everyday 100,000 mobile wallets are being added, compared to the slow growth rate of new accounts in the conventional banking system. In short, Siddiqui’s presentation focused on finance with Islamic ethical and moral values that frees transactions from the curse of interest/usury. He cherished the fact that some people do not even step inside of a bank's premises in Turkey where interest is permitted. Related to this, Bridget Kustin’s presentation complicated any straightforward notion of client “financial literacy.” In contrast to some of the fintech presenters, she explained that anthropological methods demonstrated how client accounting practices and ways of understanding the “Islam” of Islamic microfinance are not necessarily shared or even understood by the institutional provider. Noman Baig is also an an international board member of IMTFI and Assistant Professor in the School of Arts, Humanities and Social Sciences at Habib University, Karachi.